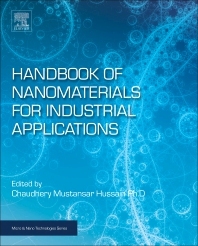 Handbook of Nanomaterials for Industrial Applications explores the use of novel nanomaterials in the industrial arena. The book covers nanomaterials and the techniques that can play vital roles in many industrial procedures, such as increasing sensitivity, magnifying precision and improving production limits. In addition, the book stresses that these approaches tend to provide green, sustainable solutions for industrial developments. Finally, the legal, economical and toxicity aspects of nanomaterials are covered in detail, making this is a comprehensive, important resource for anyone wanting to learn more about how nanomaterials are changing the way we create products in modern industry.